We’ll help you level up to the top step of the podium. 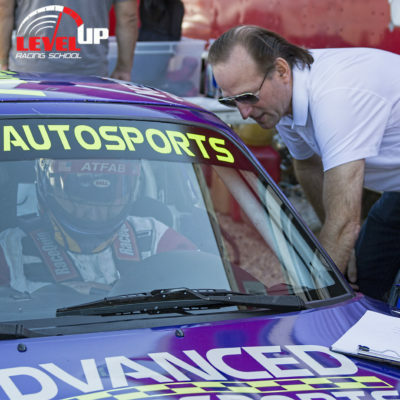 LevelUP Racing School was started with the idea that a racing school can be safe, fun, and give you the basic skill set that will allow you to drive just about any race car…all at an affordable price. All of our instructors are current or former professional racecar drivers with pedigrees from the top levels of motorsport and a minimum of ten years of teaching experience—some with more than 25 years! And teaching racing schools isn’t all we do. Our instructors are active in many different types of motorsport and automobile events. We coach racers at track days and race weekends and help them “LevelUP” to their goals and maximize their potential. Many of our instructors also regularly work with major auto manufacturers by helping them introduce new models to the media and consumers at major racetracks throughout North America. We’re a new school, but we’ve been doing this for a long, long time. In fact, we’ve been at it for so long that many of our instructors helped develop the curriculum for some of the largest and oldest racing schools in the world. 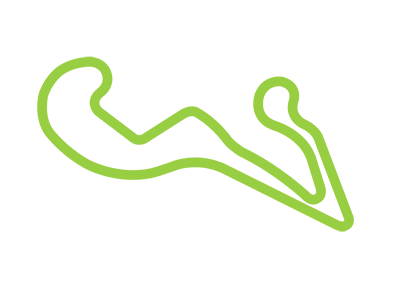 Why Attend LevelUP Racing School? If you’re just starting out in racing, or moving from karts to cars, a racing school can really steepen your learning curve and help get you to the podium earlier in your career. If track days are your thing, we’ve spoken to so many racers over the years who have spent exponentially more money on their cars than they’ve spent on their personal high-performance driving/racing education. The thought is that the latest shock or brake upgrade will bring lap times down by a half second or whatever…and maybe it will…but only in that particular car. However, if those very expensive components get damaged, or if the decision is made to buy a new car, that money will have to be spent all over again on new parts just to get back to the same level of performance. By upgrading yourself rather than your car, not only will you be faster in your current car, but you’ll be faster in everything you drive and you’ll be less likely to be involved in situations that can damage your car in the first place. You’ll also have a better understanding of how the components work and which upgrades make the most sense, which could save you money in the long run. Two days of classroom and on-track instruction from seasoned professionals who draw upon decades of driving and teaching experience. You’ll learn line theory, the lost art of downshifting an H-pattern synchronized gearbox, flagging and communications protocols, braking and passing techniques, race starts, and more from the best in the business. Upon graduation, you’ll be on your way to leveling up to your racing license. If you already have a license, we’ll help you level up to the top step of the podium. We’ll periodically send out emails on new events, new venues and promotions. Check out one of our schools now! “It’s exciting to be part of a team effort with good friends that I’ve known and worked with for decades. Instructors Jim Pace, Steve DeBrecht, Keith Watts and I go back to the early 90’s, and I have such great respect for their backgrounds as drivers and their ability to communicate effectively. I ran Spec Miatas with Dave Wheeler and Ann O’Malley at Advanced Autosports in the mid 2000’s and it was a fantastic learning experience for me. We all have a great rapport and that translates to a great learning experience for our customers. Professionally race prepared by Atlanta Speedwerks, Winding Road Racing, or Advanced Autosports, these cars are an excellent platform to use as a teaching tool. Either car is forgiving enough to comfortably allow a new driver to learn from mistakes, while at the same time allows a seasoned driver to refine his or her skills. They reward smoothness and foresight. In other words, driving them is easy, but driving them fast can be quite challenging. LevelUp will help you meet that challenge. Easy to Drive, but Challenging to Drive Fast! 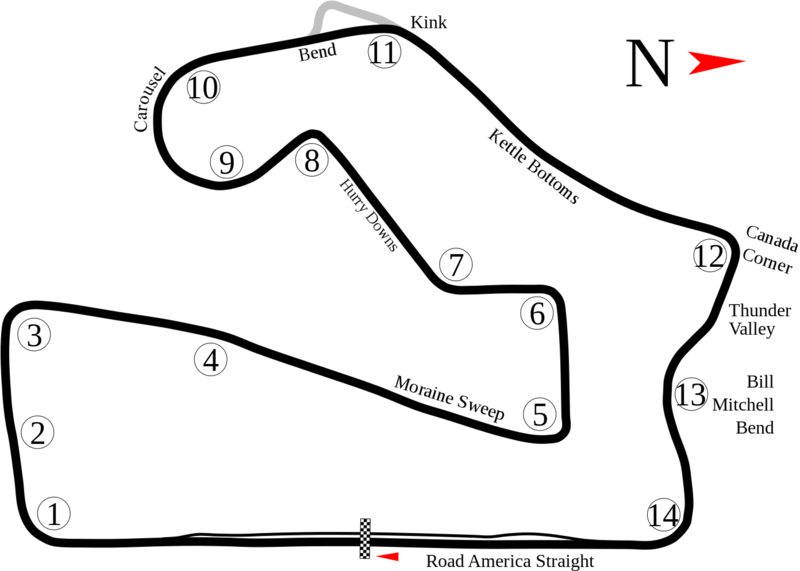 Blackhawk Farms Raceway is a 1.95 mile, seven turn private circuit located in South Beloit, Illinois on 216 acres. The track is on the border between Wisconsin and Illinois, within 90 miles of two major metropolitan areas, Chicago and Milwaukee. 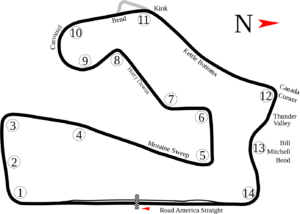 Established in 1955, Road America is located midway between Milwaukee and Green Bay in Elkhart Lake, Wisconsin. Its legendary four-mile, 14-turn road circuit has challenged the world’s best racers for over 60 years. The 640-acre, park-like grounds offer amazing viewing opportunities, fantastic concessions and high-speed excitement to thousands of spectators each year. In addition to public race weekends, Road America offers group event program, the CTECH Manufacturing Motorplex for karting and supermoto, and the Road America and Advanced Driving Schools. 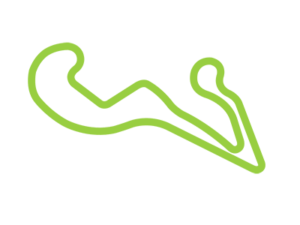 Atlanta Motorsports Park’s incredible main circuit was designed by one of Formula One’s premier architects, Hermann Tilke. 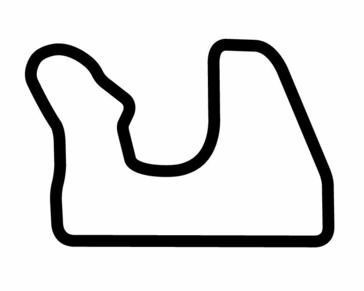 A breathtaking feat of design and engineering, this revolutionary two-mile road circuit is a motorsports masterpiece featuring aggressive elevation changes, a technical circuit layout, high-octane speed straights, and two “signature” corners as a tribute to Europe’s finest and most respected road circuits – Belgium’s Spa-Francochamps and Germany’s Nurburgring. By blending superior European motorsports elements with state-of-the-art and green technology, Atlanta Motorsports Park brings you a unique, exclusive, and special motorsports experience that can be enjoyed by you, your family, and your friends. In the morning of day one, students will get general information in the classroom regarding the racing line, vehicle dynamics, operation of the racecar and general flow of the next two days. 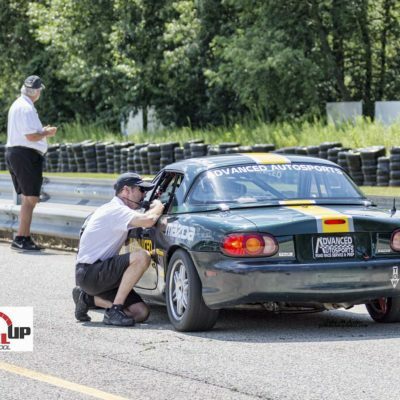 Students will then get a seat-of-the-pants feel of a Spec-Miata racecar on a slalom or autocross course, and an in-depth look at the racing line. After a catered lunch, we’ll head out to the race track and practice double-clutch downshifting, followed by lead-follow sessions and lapping on track with a stop box. This allows the instructors to give feedback after each lap which helps the student practice proper techniques and instill good habits immediately. We’ll wrap up the day with a Flagging and Communications talk. Threshold braking and passing will be the main topics of the morning, and then we’ll go out on track and practice them using exercises that are integrated into their lapping sessions. After lunch, we’ll discuss the racing start, grid up the cars, send them out on a pace lap and then it’s GREEN GREEN GREEN for a real race start. You’ll finish the afternoon on a high note when you turn laps without a stop box so that you can put it all together and get a rhythm lap after lap.